Mabuhay! That’s Tagalog for “cheers” or “welcome.” When you visit National City, south of downtown San Diego, you’ll indeed feel welcome to this tight-knit community that celebrates its rich Filipino heritage. There’s no better way to experience San Diego’s Filipino culture than through its mouthwatering food. Following are a few of my favorite, tried and true restaurants to try, plus a couple bakeries to satisfy those sweet cravings. National City’s main thoroughfare for Filipino restaurants is Plaza Blvd., located just off Interstate 5 or 805 South. 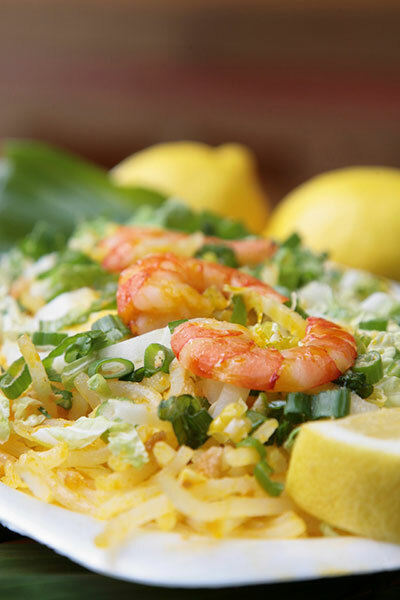 Pancit malabon – a yummy specialty at Manila Sunset! First stop, for delicious made-to-order breakfast or lunch fare, is Manila Sunset (925 E. Plaza Blvd.) which resembles a charming Filipino village inside. My fav dish is Lansilog, consisting of longganisa (Fillipino-style chorizo grilled to perfection), egg and rice drizzled with a vinegar/cucumber dip. The fresh lumpia and pancit malabon with thick rice noodles, shrimp, egg, veggies and chicharon are also delish! Tita’s Kitchenette (2720 E. Plaza Blvd.) is all about the two-item combos. 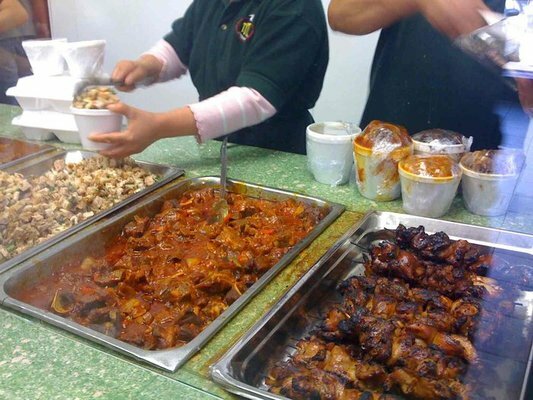 For just $7 you can pick from a vast array of Filipino staples like chicken adobo, sisig (seasoned chopped pork with onions, green peppers and special seasoning), kare kare (traditional Filipino stew of ox tail, tripe and pork with a savory peanut sauce) and finger-licking good BBQ chicken skewers – the best in town! Tasty chicken skewers at Tita’s Kitchenette! Nearby Karihan Filipino Food (2220 E. Plaza Blvd., Suite B) is also a great go-to for BBQ chicken and pork, whole(!) fried fish and piping hot sinigang (tangy tamarind soup with veggies). Life in San Diego is sweet, and not just because of the great weather. When it comes to sweet treats, San Diego calls with cupcake shops, pie joints, and some of the best ice cream in the country (just ask the readers of Travel + Leisure magazine). 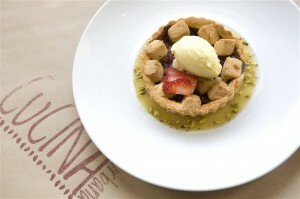 In fact, San Diego loves desserts so much, we have several restaurants that specialize in just that. Today you can celebrate National Dessert Day in San Diego, but you don’t need an excuse to indulge in the delicious treats from these dessert-first restaurants. 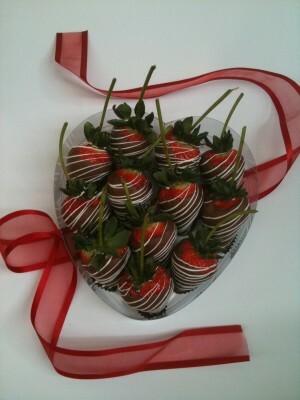 Extraordinary Desserts has been a beloved spot for decadent desserts for more than 20 years. Chef/owner Karen Krasne trained at Le Cordon Bleu in Paris and has become famous for towering flower- and fruit-topped confections that incorporate everything from rich chocolate ganache to passion fruit crème. Head to their locations in San Diego’s Little Italy and neighboring Banker’s Hill to try an elegant tart, slice of sinful cake or indulgent pot de crème. You can make a full meal out of just desserts at this recently-opened dessert shop in North Park. 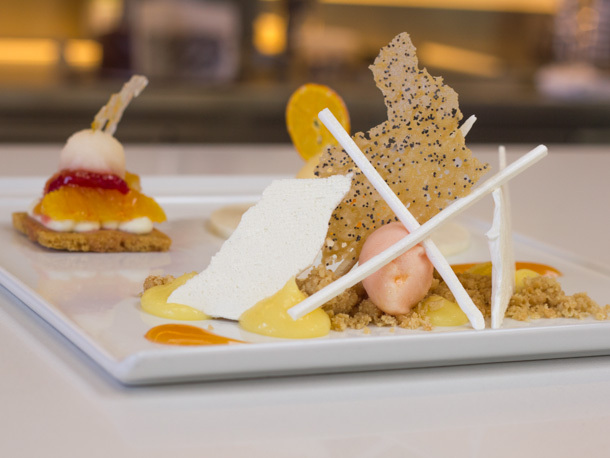 On Fridays and Saturdays at Swoon, guests can indulge with a three-course dessert flight. The menu changes often, giving you plenty of reasons to return, but recent offerings have included strawberry mascarpone gelato, stout-infused chocolate mousse and basil tres leches. Fans of the Food Network will recognize celebrity chef Keegan Gerhard from his appearances on Food Network Challenge, and thanks to D Bar, locals and visitors can sample the sweet creations of this award-winning chef. Desserts range from simple milk and cookies to elaborate plates like the “d=mc²,” which is made with milk chocolate mousse, salted caramel, peanut butter rice krispies, peanut nib crumble and milk chocolate ice cream. Can’t wait until the afternoon for your dessert fix? Luckily, Eclipse Chocolate Bar & Bistro serves up a dessert-inspired brunch every day until 2 p.m. The bistro also features a monthly tasting series called the “Chocolate Threeway”: for $20, guests can join Eclipse’s chocolatier and a local brewmaster for an hour-long guided tasting complete with three exotic truffles paired with three artisan cheeses paired with three craft beers. Where will you be celebrating National Dessert Day? Let us know in the comments below. Here’s a holiday worth celebrating: National Pie Day! San Diego has long been a destination for pie lovers due to the numerous pie producers in Julian, but the quaint mountain town in San Diego’s East County isn’t the only spot to find great pie. This National Pie Day, check out these delicious options around San Diego, ranging from the traditional full-sized variety to mini one- or two-bite treats. Under the Crust’s Food Truck serves up tiny, tasty treats. 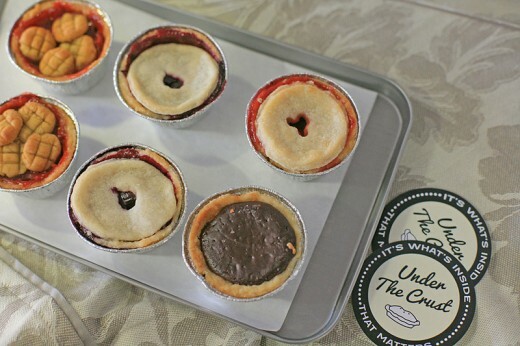 Under the Crust brings adorably petite pies to the people with their equally adorable food truck. Find out where you can sample their mini pies by following them on Twitter. Food obsessed San Diegans know that Rachel Caygill bakes up some of the best pies in the county. You can find her seasonal offerings at Banker’s Hill Bar + Resturant. Not a fan of sweets? While it may not be what the organizers of National Pie Day had in mind, Ritual Tavern in the North Park neighborhood serves up a tasty Sheperd’s Pie in both traditional and vegan varieties. Keep your taste buds on the ready for the opening of Soda & Swine in Normal Heights. The menu at the new venue is expected to feature apple pie topped with house-made soft-serve ice cream inspired by New York’s Momofuku Milk Bar. Where will you celebrate National Pie Day in San Diego? Summer is sublime in San Diego, especially with a chilly treat in hand. Something about enjoying your icy cold indulgence under the sunshine makes every bite just a little sweeter. Of course, with San Diego’s impressive culinary chops, chowing down on an average Drumstick just won’t do, so stop into one of these delicious spots for a summery treat your taste buds won’t soon forget. The newest destination for ice cream indulgence is Bardot Bars, an ice cream shop with an haute couture twist in La Jolla. 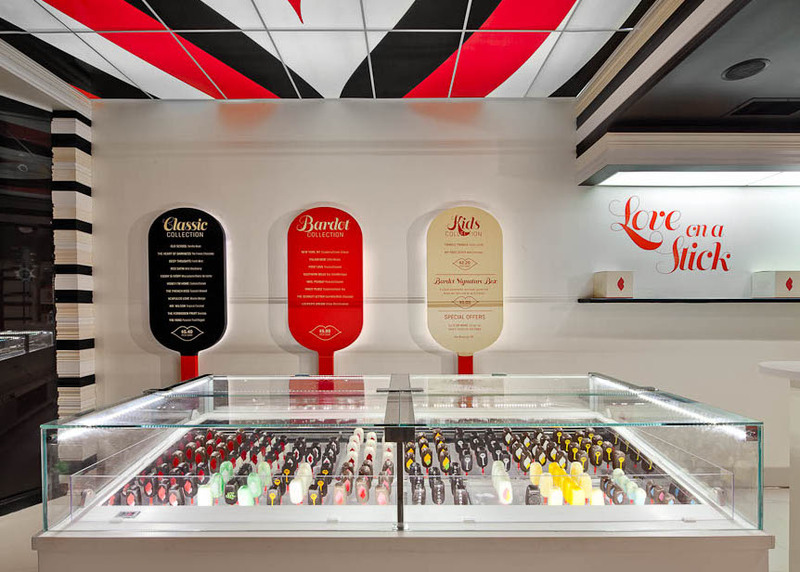 Bardot features opulent, hand-made ice cream bars in flavors like “Red Satin” (wild blackberry ice cream) and the “Southern Belle” (tangy key lime ice cream with a graham cracker crust and white chocolate shell). 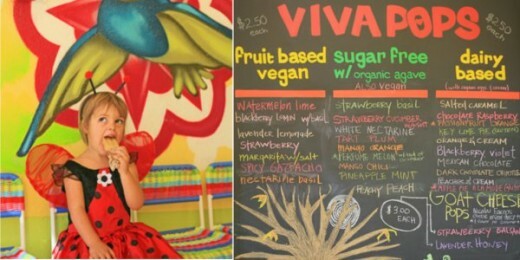 Away from the coast, the colorful Viva Pops shop will put you in a summer mood even on the gloomiest day. Inspired by the festive colors and flavors of traditional Mexican-style pops called paletas, their delicious offerings are unlike the popsicles found in any grocery store, with exotic flavors like cucumber chili, lavender lemonade and pear vanilla rose. 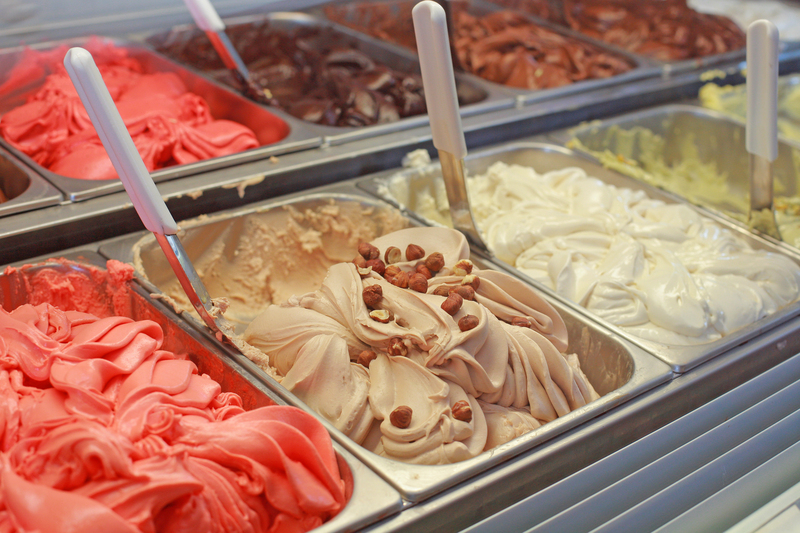 There’s plenty of gelato to choose from in Little Italy, but Pappalecco always pleases, with classic flavors like hazelnut and stracciatella to fresh tastes like banana and blueberry. Pair your gelato with a rich Italian espresso and watch from Pappalecco’s sidewalk tables as trendy locals drive by on Vespas. Located just steps from picturesque Coronado Beach, MooTime Creamery is a great place to grab a cone or cup of scrumptious ice cream on a sunny afternoon. You’ll find home-made waffle cones and mix-in ice creams, yogurts and sorbets in flavors ranging from chocolate to chai tea and horchata, while mixers include fresh fruit, nuts and candies. Where will you indulge in a cool treat this summer? 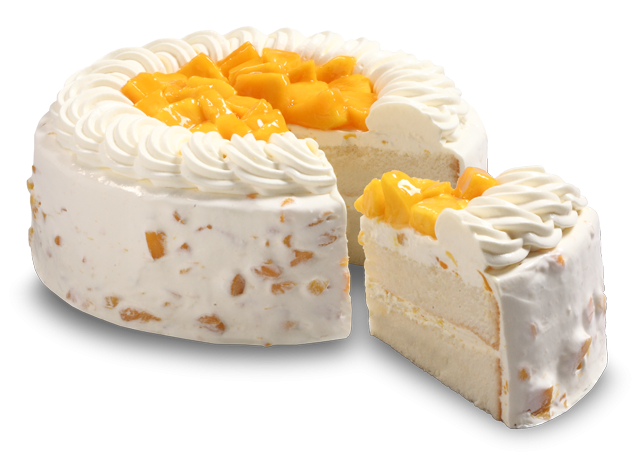 Today is National Dessert Day (not that I need a day to celebrate it!) 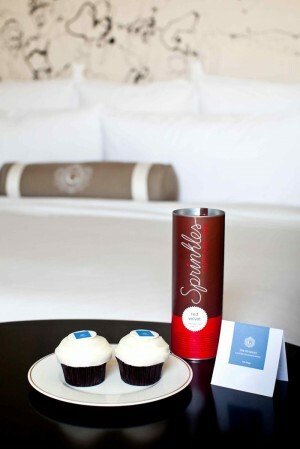 and coincidently, the iconic US Grant and the world’s most famed cupcake bakery, Sprinkles Cupcakes are teaming up to provide a “Sweet Indulgence” package. This limited time package is in honor of the US Grant’s 101st birthday in October. This is the first time the cupcakery has partnered with a hotel and what better time than for something as impressive as turning the big 1-0-1! Reserve your experience online up to three days prior to arrival, by phone at 866-716-8136 or through your preferred travel professional. Please mention rate plan 101BDAY. From $199. 1. Leroy’s Kitchen + Lounge (1015 Orange Ave., next door to Mootime Creamery), brings urban chic to the Crown City with its hip industrial look and a fresh flavorful menu of locally-sourced sustainable food created by Executive Chef Mel Ford. Standouts include the Diver Scallop Sliders, Duroc Bone in Pork Chop with maple bourbon glaze and ginger pears, and refreshing Watermelon Salad with arugula, dry goat cheese, almonds and balsamic reduction. In a word: yum! Saiko Sushi - as fresh as it gets! 2. Saiko Sushi (116 Orange Avenue near the Coronado Ferry Landing) is a progressive Japanese restaurant and sushi bar featuring modern Asian-styled food, sustainably-sourced fish, seasonal produce and micro-brewed sake. 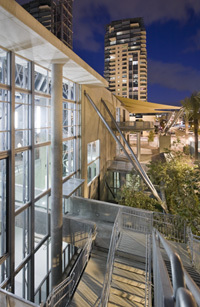 There’s a great family-friendly atmosphere with patio seating to enjoy amazing views of downtown San Diego. 3. Blimey, is that an English tavern across the street from McP’s Irish Pub? Yep! 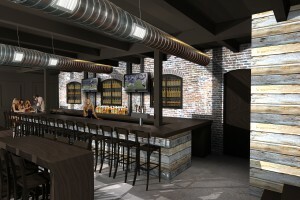 Aptly named, The Tavern (1310 Orange Avenue) boasts a vintage industrial look designed with weathered materials from yesteryear, including salvaged high school basketball court planks – a slam dunk for the flooring and bar top! Casual and welcoming, enjoy a pint while noshing on chicken sliders, fish sandwiches, mac & cheese with breadcrumb topping and more. 4. The island is abuzz about Nicky Rottens Bar & Burger Joint, opening in two weeks at the corner of 1st Street and Orange Ave. Burgers are primo here, hand-pressed and made from Grade A corn-fed Midwestern beef, using fresh organic vegetables and house-made sauces that bring out the freshest, most robust tastes possible. I’ll update everyone on the vibe and design after the grand opening. 1500 Ocean's new Chef Aaron Martinez & Wine Director Joe Weaver. 5. The Del’s 1500 Ocean welcomes Chef de Cuisine Aaron Martinez who developed his passion for food at restaurants in Belgium and Spain, and most recently at Addison at the Grand Del Mar. 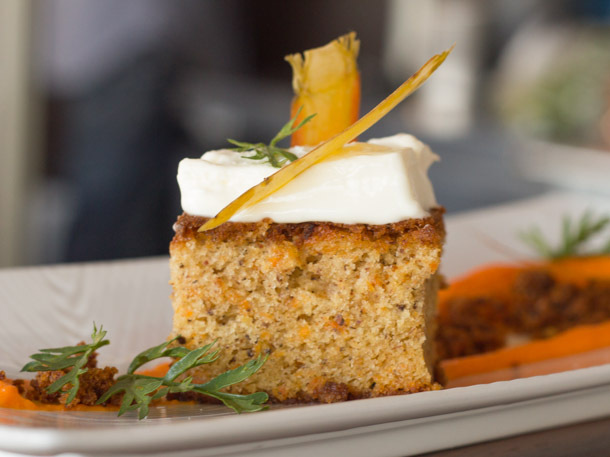 He believes in fresh, local ingredients and uses the hotel’s onsite herb garden to create coastal-inspired dishes. Also new is Wine Director Joe Weaver who cultivated his passion for wine while traveling in Europe; he currently holds a Court of Master Sommeliers Level 2 Certification. For dessert I MUST mention Sweet San Diego Chocolatier which just opened at the Coronado Ferry Landing. Chocolate-dipped strawberries, Rocky Road apples and peanut/peacan sticks are just a few of their sweet sensational creations. So you are coming to San Diego for Comic Con and staying downtown (can anyone say – Gaslamp Quarter?). Oh wait, you’re coming with the kids. Don’t despair, there are actually quite a lot of things to do that entertain both parents and kids alike. This museum is great for kids 10 and under. They do have a tween/teen area, but I have found kids under 10 get the most out of it. There are some really great interactive exhibits, and when the weather is nice, they open their doors and you can’t tell if you are inside or out. Be sure to make and take home your very own clay sculpture! Seaport Village – With 54 specialty shops and over 15 restaurants (and not to mention the awesome bayside location) Seaport Village is a great stop downtown. There is a carousel and other fun activities for kids. On the weekends be sure to look out for the balloon artist. He has made some of the best balloon animals/objects we have ever seen! He is definitely worth the wait. Embarcadero Marina Park – Located adjacent to Seaport Village, Embarcadero is a great spot to picnic and watch sailboats go by. You can also walk the length of the park, which extends all the way around, to the USS Midway Museum. USS Midway Museum – This is actually one of my favorite spots for kids and adults of all ages. Visitors can experience “life at sea” by touring galleys, officer’s quarters, engine rooms as well as getting inside real planes and helicopters. Horton Plaza – If you have any tweens/teens in your group, this mall will not disappoint. With a movie theatre and more than 100 shops and dining options, as well as a festive European open-air atmosphere, Horton Plaza is sure to please even the most discerning teens. Gaslamp Quarter – Primarily known for its nightlife, the Gaslamp Quarter is a great place to take a stroll, people watch and do a little shopping during the day. There are grand Victorian-era buildings which are now home to more than 100 restaurants, 35 pubs and nightclubs and 100 retail shops, as well as theaters and art galleries. Below is a list of some of my favorite places to take the kids downtown – however with over 100 restaurants in Gaslamp alone, feel free to find a restaurant that is perfect for you. Most restaurants post their menus outside so that you can see what is right for you. Brickyard Café – Located just a block from Children’s Museum and Seaport Village, this café is a great place to catch breakfast or lunch outside. You will find mostly locals here. My kids love it because the Trolley stops in front of the café which keeps them entertained. Our favorite is their chili and grilled cheese sandwich combo. They also have a great coffee bar. Maryjane’s – Located in the Hard Rock Hotel, this is an ideal spot any time of day. When the weather is nice be sure to sit outside and people watch. The menu includes a lot of diner style options. Be sure to try the fish tacos – they are great! Spaghetti Factory – Located right in Gaslamp, this restaurant is a popular spot, so expect a wait. The atmosphere is always festive and fun. On some days there is also a balloon artist out front to keep the kids entertained. Filippi’s Pizza Grotto – A mainstay in San Diego for over 50 years, this is an awesome place to experience San Diego’s Little Italy. 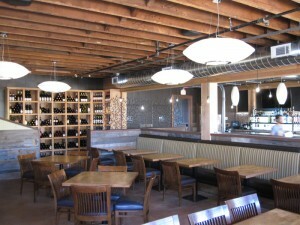 The restaurant, located behind the deli, offers some of the best pizza in San Diego. Be prepared for a wait, but it’s worth it! Pinkberry – If you haven’t tried Pinkberry, it’s worth the stop. Located in the Hard Rock Hotel, Pinkberry is my favorite yogurt shop in San Diego. Love the original with raspberries and chocolate chips! 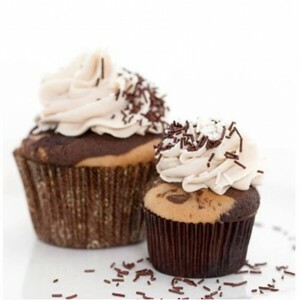 Heavenly Cupcakes – For some reason on Friday’s, I always find a reason to be in the area to pick up some cupcakes. My favorite is the black and white. My son loves the mint chocolate. Ghirardelli Soda Fountain and Chocolate Shop – Need I say more? This is for serious desert people. Located in the heart of the Gaslamp, it is open late and offers the best chocolate sundaes! Discover San Diego’s Neighborhoods with our Summer Sweepstakes. Join us every week as we showcase the best in what to do, where to eat, and where to stay in some of San Diego’s most unique neighborhoods. This week’s spotlight is on beautiful La Jolla. Combine world-class chefs with spectacular views, and you’ve got a recipe for culinary excellence. 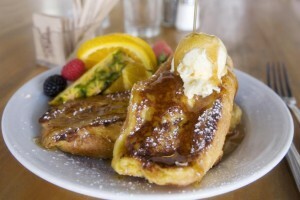 La Jolla offers everything from exquisite fine dining, to the best in brunch and organic desserts. Here are some of my top picks for dining in La Jolla. Award-winning restaurants like George’s at the Cove (an oceanfront icon) and The Marine Room (a San Diego tradition since 1941) are as well-known for their exceptional cuisine as for their spectacular panoramic views. Brockton Villa has been serving award-winning breakfast, lunch and seasonal dinner service for 20 years. Not to be missed are the Crab Ipanema (eggs benedict with crab cakes served with a spicy tomato coconut sauce), and the world-famous Coast Toast. Organic cupcakes, cupcake-infused ice cream and shakes, and all-natural strawberry milk on tap. Where is this heaven on Earth you ask? Cups in La Jolla, that’s where. Not only is its menu to die-for, but Cups is also recognized as the first 3-Star Green Certified Bakery in San Diego so when you eat there, you’re also doing something good for the environment (if not your waistline). Roppongi Restaurant & Sushi Bar features an award-winning Happy Hour. Get half-off the full Tapas and Sushi menu daily from 3:00 – 6:00 pm on the patio. 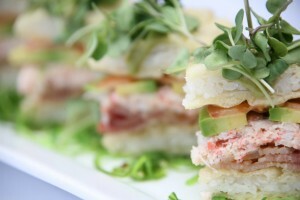 While there, don’t miss Roppongi’s take on the BLT; the Sushi Style BLT comes with crab, bacon, avocado, arugula, and tomato with a tarragon aioli. Delicious! We want you to experience Roppongi’s bold and imaginative New Asian cuisine. 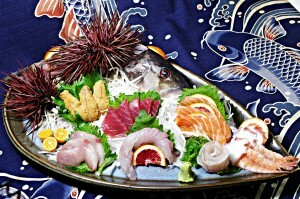 Comment below by Monday, June 13, 2011 at 10 a.m. and get entered to win a $50 gift certificate to Roppongi. Tell us, what is your favorite restaurant in La Jolla? It’s National Dessert Day, not that I think there needs to be one, to me every day is dessert day. My go to dessert is chocolate. Pretty much anything with chocolate will get my attention. Below is a sampling of some delicious creations you can find in San Diego. Tell us, what is your favorite dessert? Cucina Urbana–This Banker’s Hill hotspot located at 5th and Laurel is well known among locals as a great place to get an affordable meal without comprising taste and ambiance. Currently, Pastry Chef Ben Rollins is featuring an Apple Gratin. They serve the dish in a miniature cast iron skillet with shortbread acting as the crust below layers of apples that are slow baked with brown sugar and custard, forming an intense layer of moist apples. They then warm it in the oven and finish with a layer of brandy sabayon which is toasted using a torch, then crumbles of walnut brittle are scattered over the top, adding a nice crunch. All I can say is Yummy!